A smaller piece with beautiful colours that catch the light in shining acetate strips. Tadek Beutlich used a film obtained from theatre sets which is fire proof and very colourful. 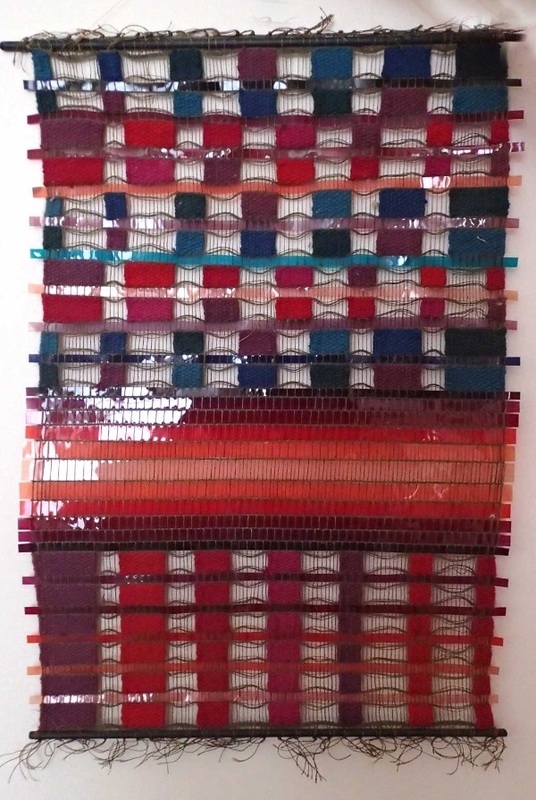 Jute, acetate, on fine linen warp.